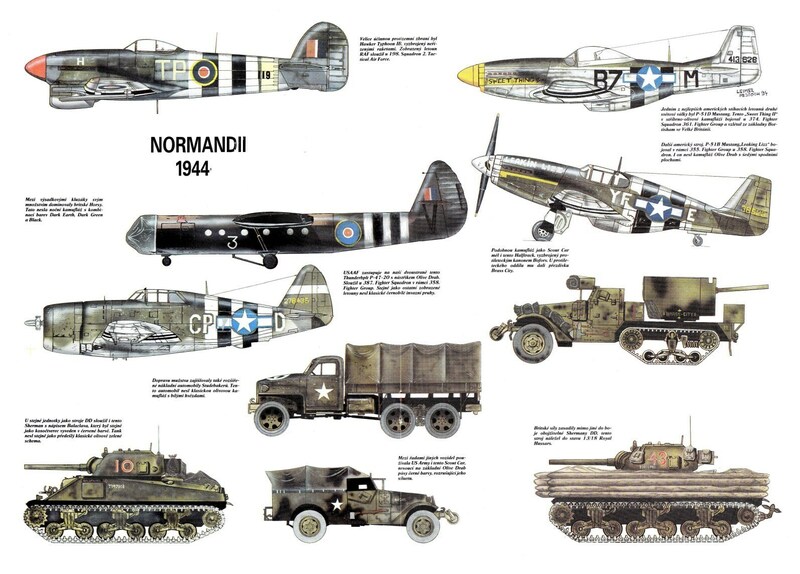 By December 1943, the war in Europe had been grinding on for four years. The armies of the Third Reich had gobbled up most of the continent, in a war that “was claiming 10 million people a year.” Despite some setbacks in Russia, Italy, and North Africa, the Nazis were still a formidable foe. Nearly a million German soldiers formed a sixteen-hundred-mile Atlantic Wall, a “line of fortification that was the strongest in history save the Great Wall of China.” The future of Europe would depend on the success of an Allied invasion of western Europe. But how could the Allies expect to breach that wall and take the battle to the Nazis? While the Allies pondered a plan to invade Europe, Winston Churchill came to the realization that there was only one way that an invasion would have any chance of success: deception. Somehow, the Allies had to fool the Germans about the location and date of the invasion. As everyone understood, if the invasion failed, any chance of stopping Hitler would be lost. Even though Hitler had a firm grip on Europe, the Allies knew that he was vulnerable. He needed to defend the entire west coast of Europe against an invasion that he knew was coming. Hitler didn’t know exactly where or when the invading army would come ashore, but, according to historian Ben McIntyre, he believed that “if the invaders could be successfully resisted in the early stages of the assault, even for one day, then the attack would fail.” He decided to maintain his two large army groups where they were — the Seventh Army in Normandy, the Fifteenth up the coast at Pas-de-Calais — and count on either army to move quickly to the point of invasion. Without knowing it, he was actually playing into the hands of the Allies by spreading his troops over such a wide area. Such was the situation one morning in December 1943, when General Sir Stewart Menzies, chief of the British Secret Intelligence Service (MI6), and Colonel David Bruce, chief of the American Office of Strategic Services (OSS), the predecessor of the CIA, walked to Churchill’s secure London bunker and presented Plan JAEL, a blueprint for a deception operation that would dupe Hitler and his Abwehr. Colonel John Henry Bevan, head of the London Controlling Section (LCS), a secret agency that was the brainchild of Churchill, had prepared a draft of Plan JAEL in the summer of 1943, naming it after a heroine in the Bible who used deception to kill an oppressor of the Israelites. In Bevan’s original plan, the Allies would not invade Europe for another year, focusing instead on an attack of the Balkans to the east and on an intense aerial bombardment of Germany, which was code-named Plan POINTBLANK. Bevan had presented his plan to the Allied high command, whose reaction was less than enthusiastic. The Allied leaders — Churchill, Franklin Roosevelt, and Joseph Stalin — met twice in November to consider JAEL. Early in December, Bevan received their revised proposal and returned to London to work on the next draft of the deception plan. To have any chance of success, the greatest of invasions needed to be supported by the most detailed and devious of deceptions. At the center of JAEL was Churchill himself. As Colonel Sir Ronald Evelyn Leslie Wingate later wrote, it was Churchill who had “all the ideas. It was his drive, his brilliant imagination, and his technical knowledge that initiated all these ideas and plans.” Plan JAEL was “intended to provide the novel experience and sinister touches” for Operation NEPTUNE, the code name for the amphibious invasion of France. The December meeting was no more than a formality to approve JAEL, which had been agreed upon by the three Allied leaders the previous month at a meeting in Tehran. At that meeting Churchill uttered a sentence that has been quoted many times since and established something of a theme for all deception plans to follow in the war. “In war-time,” Churchill said, “truth is so precious that she should always be attended by a bodyguard of lies.” And, indeed, before the meeting approving JAEL adjourned, the group decided that the code name of the deception plan would be changed from JAEL to Operation BODYGUARD. BODYGUARD would be an Allied effort, but the main players were the British and the Americans through their intelligence and counterintelligence sections, including the British agencies MI6, responsible for espionage and intelligence matters outside of the British Isles, and MI5, the British Security Service, responsible for espionage matters on British soil, similar to how the FBI attends to domestic intelligence issues in the U.S. The United States member of the BODYGUARD deception team was the OSS, providing intelligence and special operations services. The deception operations would be run by the London Controlling Section, part of the planning staff at Churchill’s headquarters. The LCS was responsible for planning and implementing deception strategies for the duration of the war. The deception planners would rely to a large degree on special operations, a “vaguely sinister term that included a wide variety of surreptitious, sometimes murderous, always intricate operations of covert warfare designed to cloak overt military operations in secrecy.” Winston Churchill was responsible for the key role that special ops played in BODYGUARD, as well as in other World War II deceptions. In fact, one historian believes that Churchill’s use of special ops and the establishment of a central agency to devise and coordinate the tactics of special ops was “probably his greatest single contribution to military theory and practice.” This was quite an achievement for a man whose political career was in shambles following the tragedy of Gallipoli some thirty years earlier. Intelligence Gathering: What plans was the target (Hitler) contemplating? What were Hitler’s fears and insecurities? BODYGUARD had two main sources of intelligence within the Third Reich. The first, and more important, was Ultra, the code name for all intercepted secret messages sent by the German High Command and decoded by code-breakers at Bletchley Park near London. The second was the Black Orchestra, a group of German officers who were plotting the downfall of Hitler. From time to time, members of this band of traitors to the Reich passed on intelligence to the Allies. Counterintelligence Activities: The LCS took strong counterintelligence measures to make sure that Germany did not learn any details of the planned invasion of France. Because BODYGUARD included many deception operations, a leak in any one of them could cause the whole deception to sink. To help maintain security on the operation, MI5 saw to it that any known German spies were rounded up; many were used as double agents. Special Operations: While one historian believes that special ops used in Operation BODYGUARD included only “an occasional act of thuggery,” sinister measures were used more than occasionally. Such operations fell to the Special Operations Executive (SOE) behind enemy lines in France, These brave operatives found and supported resistance groups and underground organizations. Their work included sabotage, abduction, and, on occasion, murder. Political Warfare: This aspect of deception was aimed directly at non-military citizens, mostly through rumor and misinformation. It was an attempt by the LCS to lead the population to question its commitment to the policies of the Third Reich. The Deception Itself: While these five areas of the operation worked together, out-and-out deception — “the ultimate secret weapon and the most secret of all secret operations,” as historian Anthony Cave Brown put it — carried the day. All these secret activities had one ultimate goal: to deceive the Nazis about the imminent Allied invasion of Europe, to fool them about when the invading armies would come ashore and where the landing would be. It was also determined that parts of the deception needed to be maintained for at least a few days following the invasion. BODYGUARD, then, had three main objectives. The first was to make Pas-de-Calais appear to be the place where the massive Allied attack would come ashore, when the real invasion site would be about two hundred miles south at Normandy. The second aim was to get Hitler to keep his troops at Pas-de-Calais until it was too late for him to move them to reinforce his army at Normandy. Last, BODYGUARD had to keep the actual date, time, and place of the Normandy invasion secret. Even though the major theater for the Allied invasion would be western Europe, the Allies wanted to spread out the Nazi army as much as possible. They heeded the wisdom of Sun Tzu, who wrote in The Art of War, “If [my enemy] sends reinforcements everywhere, he will everywhere be weak.” A successful deception can act as a “force multiplier,” not by actually increasing one’s personnel numbers but by giving the enemy the impression that one has more troops than one does. In this case, appearing to be preparing to attack in numerous places would create an illusion of higher numbers and force the opponent to prepare on all fronts. One of the key aspects of FORTITUDE — the major deception in BODYGUARD — was creating notional, or fictional, armies. Spreading Hitler’s army along his Atlantic Wall would accomplish two things. First, the thinned Nazi army would be more vulnerable in an attack. Second, being ordered to maintain their positions, the troops would be unable to reinforce any other point of attack. BODYGUARD included many deception operations that were meant to convince Hitler that an Allied attack could come at a number of locations. The geographic distribution of the deceptions covered the length and breadth of Europe, from Spain to Turkey. Bear in mind that Russia, the third country among the Allies, was prepared to open an attack from the east. BODYGUARD was a magnificent and intricate stained-glass window of an operation, in which the pieces needed to fit perfectly and stay in place to maintain the deception of Hitler and his intelligence officers. 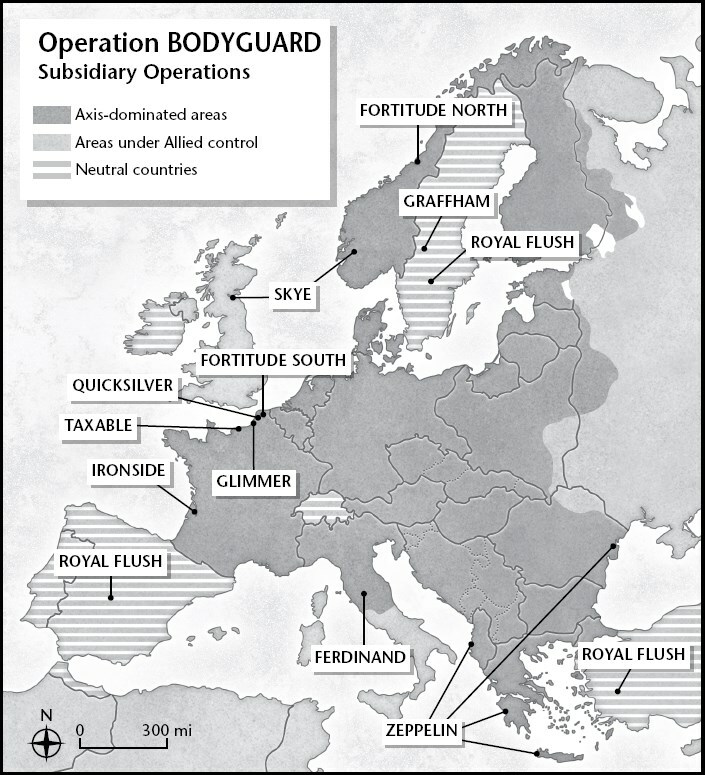 Despite the scope of the deceptions in BODYGUARD, the main operations were FORTITUDE NORTH and FORTITUDE SOUTH, two complicated operations that were run at the same time and designed to cover NEPTUNE. Each of these intricate masterpieces of deception included many of the techniques that were part of earlier deceptions. But with BODYGUARD, the practices of deception in war were more organized and widespread. BODYGUARD raised the role of deception to a level never before seen in war. This entry was posted in Operations, Strategy by MSW. Bookmark the permalink.